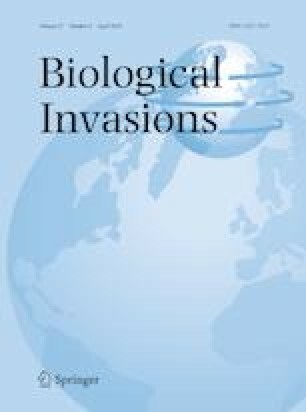 Invasive species are one of the greatest threats to global biodiversity and ecosystem health, and population genetics provides promising tools for understanding the evolutionary process of successful invaders. 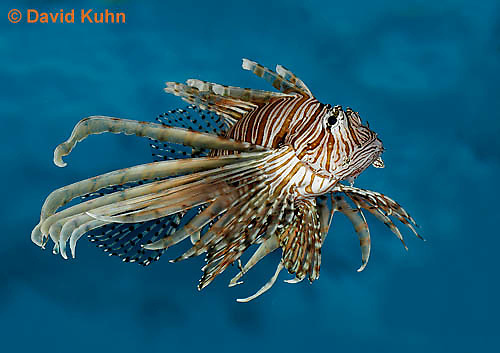 The well-documented introduction of the red lionfish (Pterois volitans) to the western Atlantic, Gulf of Mexico and Caribbean has decimated native fauna due to the invader’s voracious predation and growth rate. We tested whether our samples were within the region of the source of invasion into the Atlantic and Caribbean and investigated whether hybridization in the native or introduced range was responsible for the success of this invasive species. We used a reduced representation sequencing method to generate over 50,000 single nucleotide polymorphisms and sequence data from two mitochondrial DNA genes to analyze the population patterns. We found one location in the southeastern Pacific that was genetically similar to one location the southwestern Atlantic and evidence of the subsequent spread south to the Gulf of Mexico and the Caribbean, which supports previous findings. Within the native range, we found genetic divergences commensurate with distinct species and evidence of hybridization. We found limited structure within the introduced range and no evidence of Pterois miles or hybrids within this range. Finally, we found signatures of selection between the native and introduced range that may be a result of the introduction. Overall, this study of the red lionfish showed the pattern of introduction and suggested a deeper sampling of genomic data from individuals within the native range may reveal hybridization between species as the source of the aggressive invasion. After first and second authors, author names were arranged in alphabetical order. The online version of this article ( https://doi.org/10.1007/s10530-019-01992-0) contains supplementary material, which is available to authorized users. We thank M.R. Reiskind and R.R. Dunn for comments on an early version of this manuscript and several anonymous reviewers for their comments that improved this manuscript. The Wynne Innovation Grant from the CALS Dean’s Enrichment Grant program at NCSU awarded to MO Burford Reiskind funded this research. We also thank both the Applied Ecology and Entomology and Plant Pathology Departments at NCSU for providing matching funds to further fund this collaborative research. This study was a project in MO Burford Reiskind’s Conservation Genetics course at NCSU for undergraduate and graduate students. We provided supplemental material with the original submission for the online version of this manuscript. This will include the results of the Genbank blast search for outlier loci. Data from this manuscript will be available through Dr. Martha Burford Reiskind’s DRYAD account. This will include post-STACK analysis input data files for PGDSpider from which subsequent input data files can be generated. The complete list of aligned sequences containing outlier loci. In addition, the raw sequence data generated in this study will be available upon request, as the data files far exceed the limits at DRYAD without addition payment.